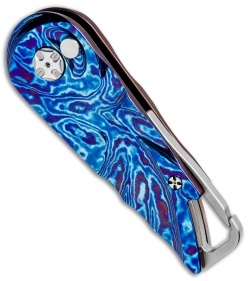 This Brian Tighe Custom Tighe Nee is a compact automatic knife with a built-in carabiner clip for carry convenience. 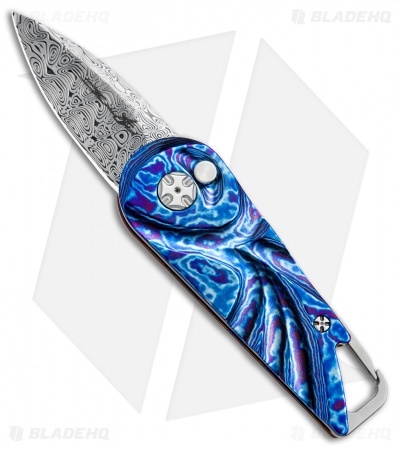 It sports a polished Damasteel spear point blade that measures just under 2-inches. 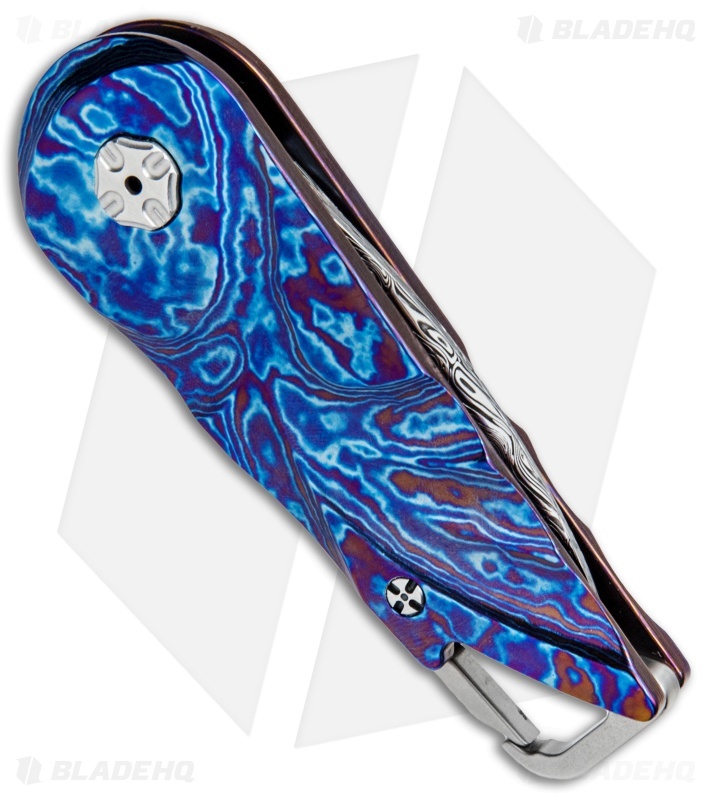 The handle is made from lightweight, eye-catching Timascus with a grooved pattern for added grip. Comes in a padded zipper pouch. New from maker at 2017 ECCKS.